Meta descriptions can help with improving your page ranking with search engines. 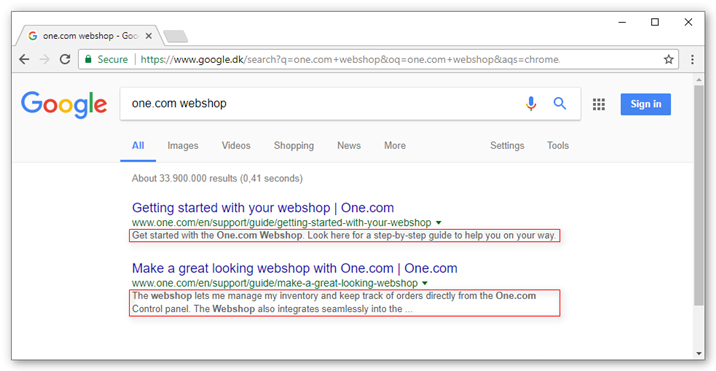 A meta description is a brief summary of up to 160 characters, that is displayed below the title and URL in search engine results. A good meta description is a concise but compelling summary of the content of your page. Avoid listing keywords only, instead include them in the description. 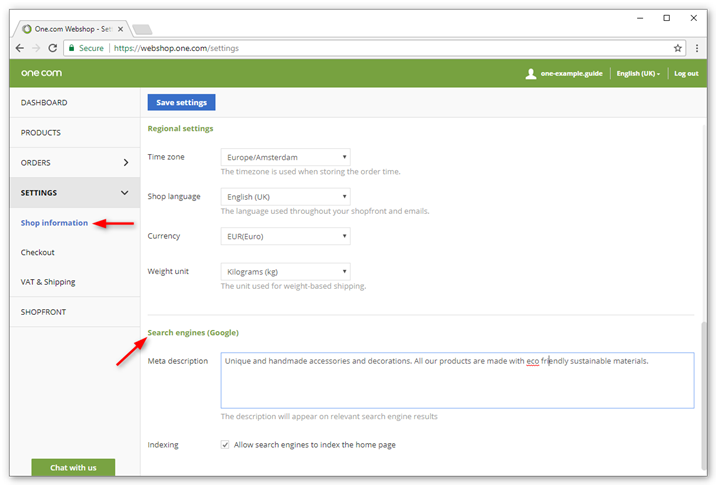 You can add meta descriptions for your online shop front page and for each product seperately. For your product pages the description should contain information about the product specifically. To get the best results, each page should have a unique meta description. Log in to your One.com Control Panel and go to Online Shop. Under Shop information, scroll down to Search Engines (Google). Type in a meta description for your shop. Check the box for Allow search engines to index the home page. 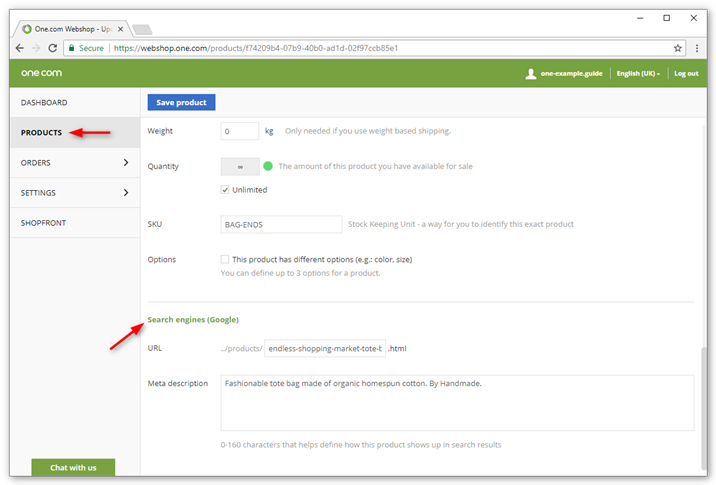 Indexing a site makes it easier for your potential customers to find your online shop. Click Save settings in the top-left corner. Click Products in the left menu. Edit a product by clicking on its name. Scroll down to Search Engines (Google). Type in a meta description of the product. Click Save settings in the upper-left corner.